The immune system is constantly faced with the challenge of protecting the body from environmental threats. Nearly all threats contain protein component that the immune system must identify and break down. Enzymes that break down protein (proteolytic) can support this immune process. When the immune system is functioning optimally, systemic health is enhanced. Enzyme Defense contains an enzyme blend that provides support to purify the body and assist in removing protein that do not belong in the bloodstream. 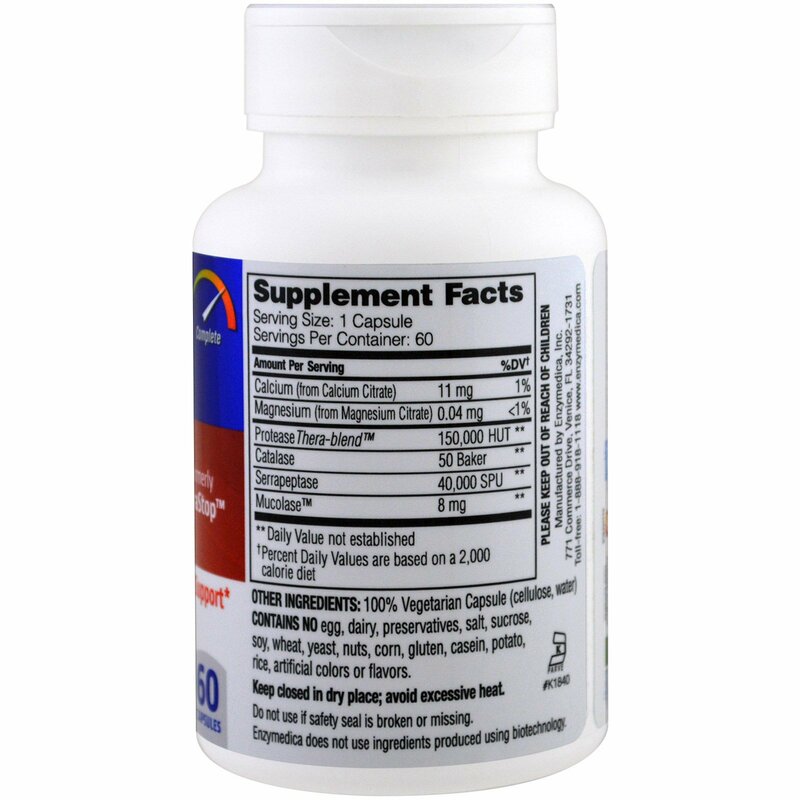 This allows the immune system to focus on areas of need. 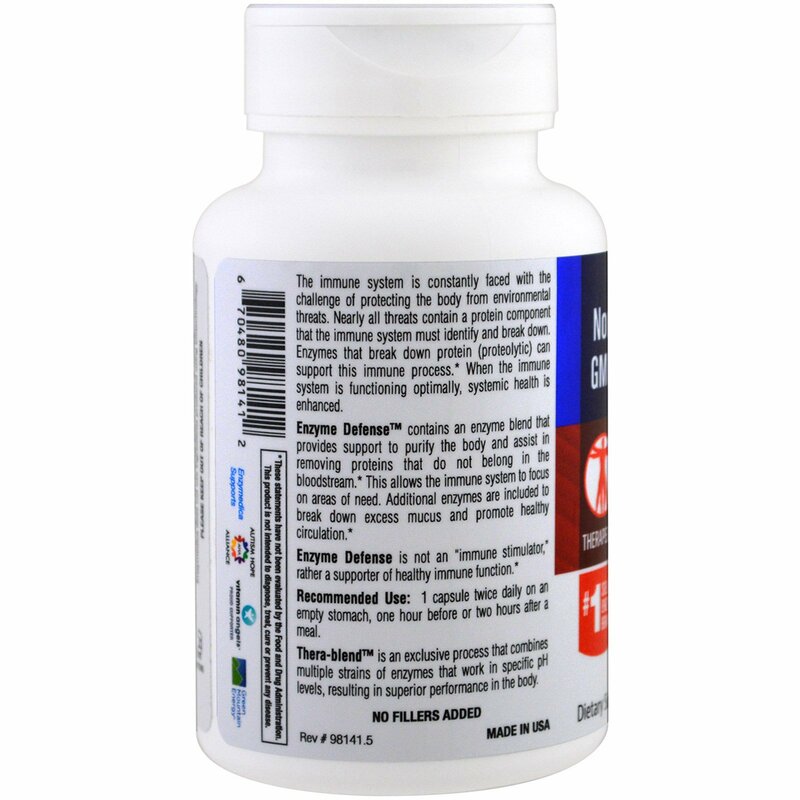 Additional enzymes are included to break down excess mucus and promote health circulation. 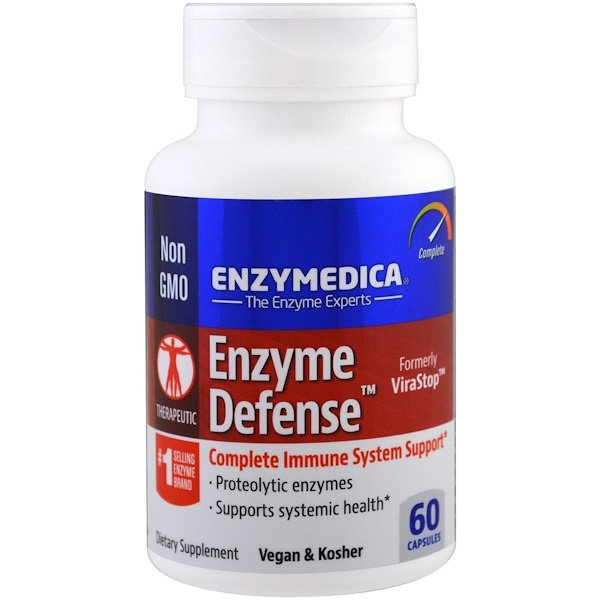 Enzyme Defense is not an "immune stimulator", rather a supporter of healthy immune function.